As more modern facilities are developed across the country, many mid-20th century enclosed shopping malls are in a state of decline due to retailers abandoning these properties for new development. Many of these “dead malls” fail to attract new business and often sit unused for many years until restoration or demolition. Gateway Town Center is a local retail landmark and Jacksonville’s best example of a dead mall still in search for a magical rebirth. Developed by Sam Morris Spevak, Gateway was one of Jacksonville’s early shopping centers to challenge downtown as the city’s retail epicenter. After serving as a lieutenant in the U.S. Marine Corps in Korea, Spevak returned to Jacksonville with his newlywed wife, Elaine, in 1951 and saw a market for new homes for returning veterans. They soon borrowed money to start a home-building project in North Jacksonville. Some years later, they noticed that consumerism was moving away from the downtown area and into the suburbs, providing more convenience for shoppers. With the increasing popularity of suburban development throughout the country after World War II, a new style of shopping center would be created outside of traditional downtown borders across America. To address this retail niche in Jacksonville, the Spevaks built their first retail developments, Edgewood Avenue’s Paxon Shopping Center and Arlington Road’s Arlington Plaza (year?). With those retail projects under their belt, the couple moved forward with the development of the Gateway Shopping Center on the Northside. Designed in the shape of an upside-down “L”, the north section of the center was anchored by JCPenney, W.T. Grant, and Winn-Dixie. The south section included G.C. Murphy, Food Fair, Lerner Shops, and Walgreens Drug Store. The development’s center featured a number of specialty retailers and restaurants, including S&H Green Stamp, Inc. and Gatepost Restaurant, designed around outdoor, pedestrian promenades. To avoid the congestion associated with downtown shopping, a 4,500-space surface parking lot was included on the 55.5-acre site to accommodate shoppers. Although the Spevak’s were successful with their modern strip centers, the suburban retail industry around them shifted from open-air centers to enclosed malls, due to the designs of Victor David Gruen. Austrian-born Gruen was best known as a pioneer in the design of shopping malls in the United States. Gruen designed the first suburban open-air shopping facility, Northland Mall, near Detroit in 1954. In 1956, he designed Southdale Mall in Edina, MN., the first enclosed shopping mall in the country. Due to his invention of the modern enclosed mall, many have suggested that Gruen may well have been the most influential architect of the 20th century. Attracting large department stores, termed ‘anchor store’ or ‘draw tenant’, became a necessity for the financial stability of Gruen’s modern shopping mall design. In physical configuration, such stores were typically located as far from one another as possible to maximize the amount of foot traffic from one anchor to another. Shortly after the opening of Gateway, developed by Food Fair Properties, the Philips Mall at the intersection of Philips Highway and Emerson Street became Jacksonville’s first enclosed mall in 1960, utilizing Gruen’s anchor-driven format. 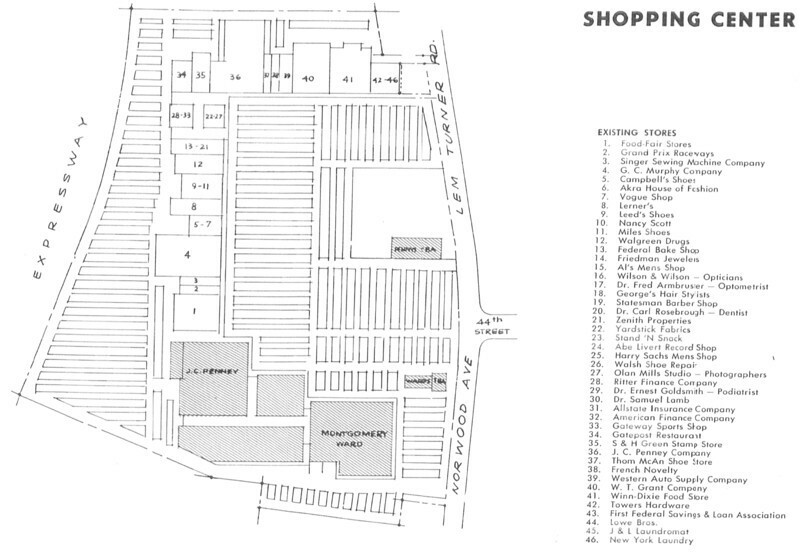 Additional regional shopping centers would be added to Jacksonville’s retail market with the openings of the open air Roosevelt Mall (1961) by Robert Jacobs and the enclosed Normandy Mall (1963) by the Edward J. DeBartolo Company. Despite the increased competition, Gateway’s retail sales increased 16% annually during its first six years. 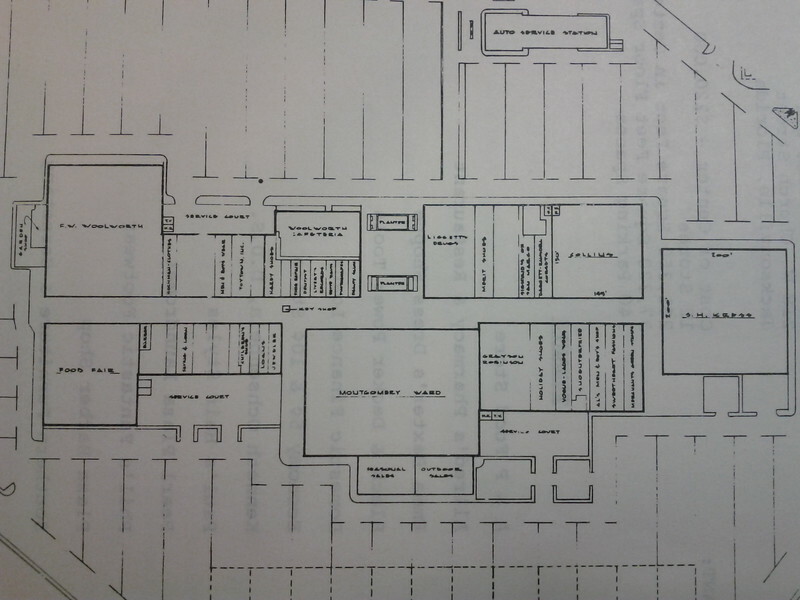 With the mid-1960s came the announcement of Regency Square Mall, a new enclosed shopping center in Arlington, and the conversion of Roosevelt into an enclosed mall. 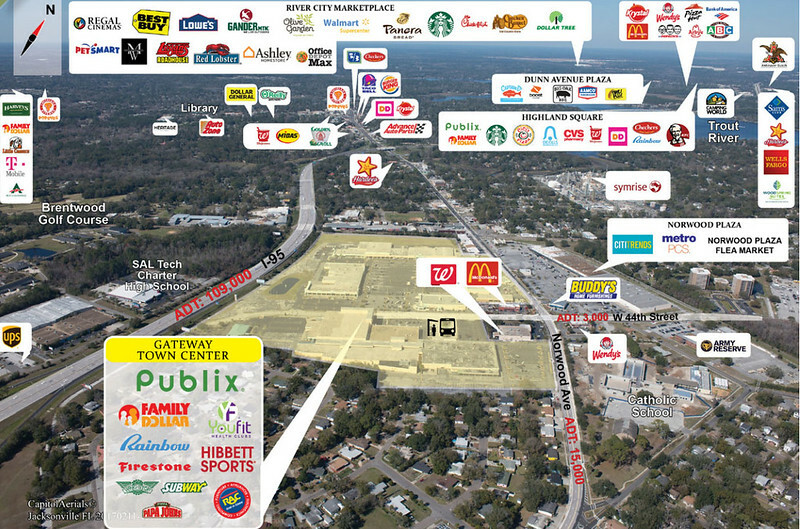 To accommodate Gateway’s steady growth and place in Jacksonville’s retail market, the Spevaks planned a major expansion of their own. This expansion came in the form of a two-anchor enclosed mall on the south side of the shopping center’s property.